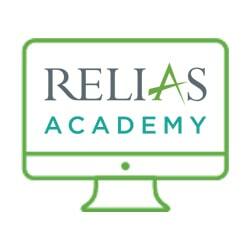 Pulmonary Health, Rehabilitation & Exercise Testing Manual is proudly presented to you by Relias Academy. Thank you. We hope that you enjoy your course. A policy and procedure guideline manual with expanded information on consideration for special populations, Individualized Treatment Plans, competency evaluation and reimbursement. Policy and procedures adaptable to inpatient and outpatient phases of a new or already existing pulmonary rehab program. Also, includes patient selection and referral, emergency and safety protocols, exercise prescription guidelines, documentation and much more. Updated reimbursement policies correlating to the new CMS rules for coverage and payment of pulmonary rehabilitation. Brand new and extensive Individualized Treatment Plan (ITP) policies and forms correlating to the new CMS rules. Updated physician referral and supervision forms and policies. New safety and emergency policies including standing orders for chest pain, dyspnea, bronchospasm, hemoptysis, hypo/hyper-glycemia, etc. New competency checklists to meet accreditation requirements including, medications, nutrition, exercise physiology, glucometer, etc. Updated section related to considerations for special populations including asthma, pulmonary hypertension, restrictive diseases, obesity related disorders, etc. Many new forms and policies to streamline and update your program to meet guidelines, standards, rules and certification requirements. Comprehensive MET table estimations for the treadmill, bicycle ergometer and NuStep recumbent stepper.